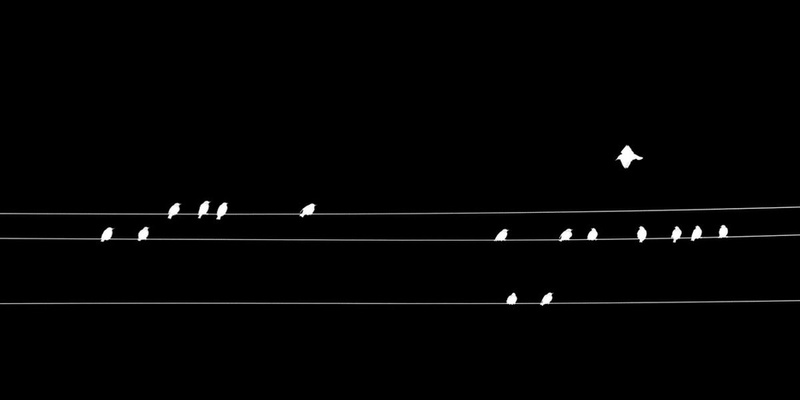 Birds on a wire, inverted into the negative. A companion piece for 'Outgoing', a similar shot with a white background. I was able to capture a bird just about to join his friends, which provides an element in the photograph that is not in line with the others.